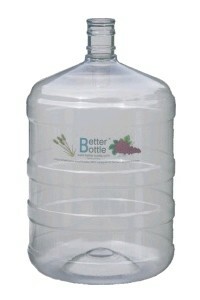 Lightweight fermenter for all 30 bottle wine kits and recipes. A pupose made lightweight fermenter. Has all the advantages of glass without its weight and breakability. It is impervious to oxygen and because it doesn't stain is very easy to clean. Comes complete with bored bung to accept any airlock.